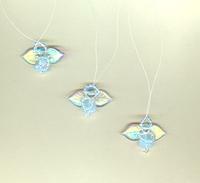 Let this trio of sweet little handmade glass angel tree ornaments lift your holiday on their wings! 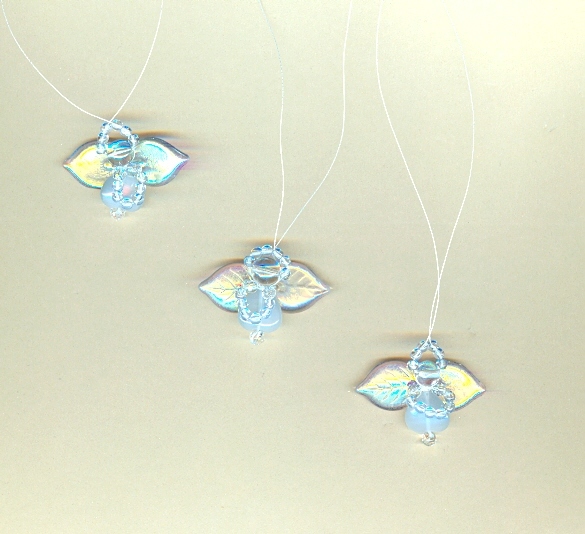 A sturdy thread hanger allows you to adjust the placement of the angel tree ornaments on packages or on a Christmas tree. 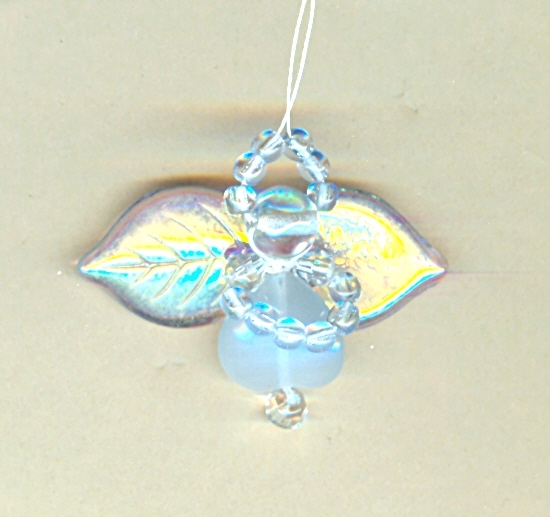 Our angel tree ornaments are lovingly created from frosty glass beads, and measure about 1" tall by 1-1/2" across the wings. 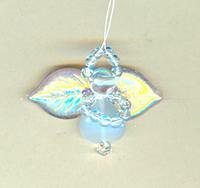 These angel tree ornaments make terrific small gifts for the angels in your life.